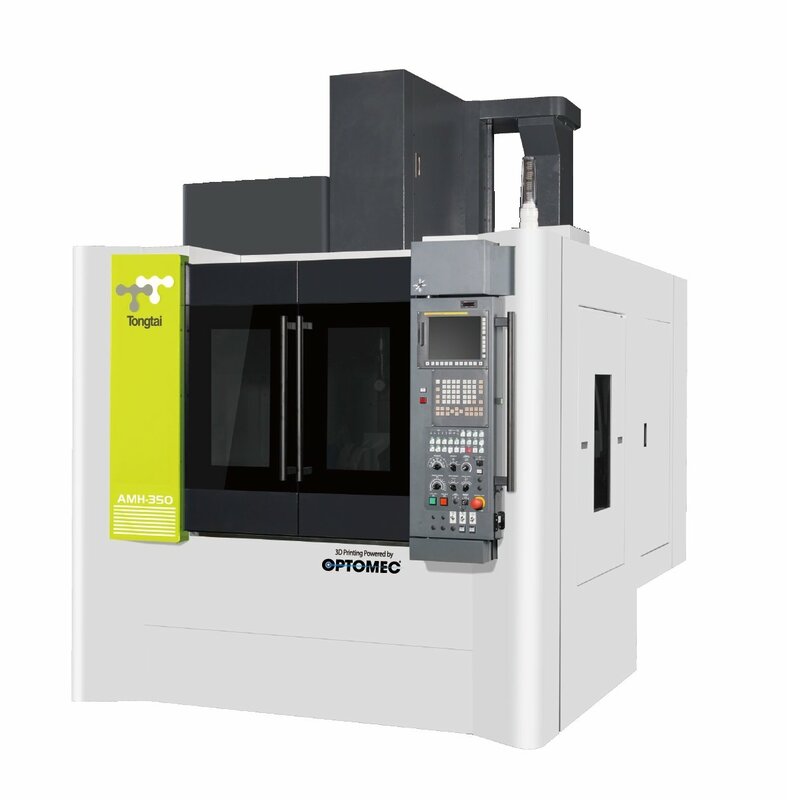 Albuquerque, New Mexico – March 1, 2017: Optomec, a leading global supplier of production grade additive manufacturing (AM) systems for 3D Printed Metals and 3D Printed Electronics, today announced an agreement with Tongtai Machine & Tool Company (TWSE: 4526.TW), one of the largest machine tool suppliers in Taiwan. The agreement enables Tongtai to integrate the Optomec LENS Print Engine and add 3D metal printing capability to its AMH-350 (Additive Manufacturing-Hybrid) vertical milling machine. Tongtai will demonstrate this new, hybrid additive manufacturing machine at the TIMTOS show in Taiwan (http://www.timtos.com.tw/) from March 7-12 at Booth #J0830.